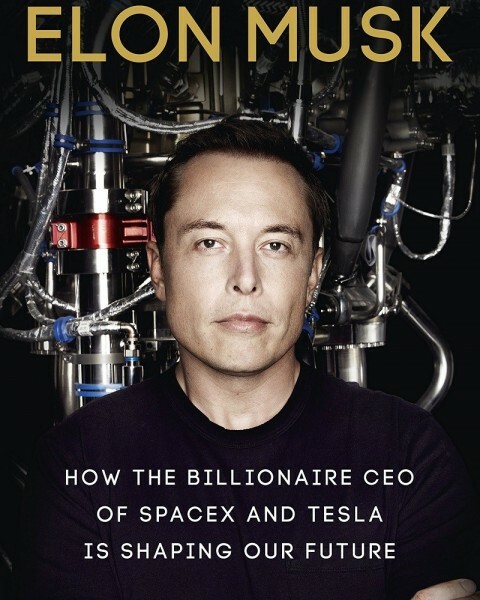 After reading Elon Musk: Tesla, SpaceX, and the Quest for a Fantastic Future by Ashlee Vance, I understand why many folks are proclaiming that Elon Musk is one of the greatest visionaries of our lifetime. Much like Steve Jobs did, he envisions products which most of us would think impossible and then finds ways to actually build them. But his ambition is not to invent a clever product or service simply for profit, he wants to create products with the purpose of changing the world. He wants to stop our dependance on fossil fuels. He wants to put a colony on Mars. The book goes into much more than just Musk’s manufacturing philosophy. The reader is given a glimpse into Musk’s drive to run two or more companies simultaneously, flying back and forth between LA and the Bay Area every week, often crashing on couches at friends’ houses, such as that of Google’s Larry Page. Musk refuses to ever compromise his vision, whether it be combatting investors trying to take control of his companies, challenging employees who claim his demands are unrealistic, or having to spend millions of his own money on rockets that fail. It is not strange for Musk to demand an engineer build a product for $5,000 that had previously cost $100,000. He holds degrees in physics and business and understands every component going into his rockets and cars. As the author, Ashley Vance writes, “(Musk) is hands-on to a degree that would make Hugh Hefner seem inadequate.” So when Musk tells someone to make something a certain way, he is unlikely to accept when they tell him it is not possible. Sometimes when employees cannot accomplish what he wants, he tells them that in addition to running a rocket company and a car company he is going to take on that person’s job as well. He then actually takes on that other person’s task and accomplishes what the person told him was not possible. “Employees fear Musk, they adore Musk, they give up their lives for Musk, and they usually do all of this simultaneously,” Vance writes. In the two main companies Musk manages and helped found, SpaceX and Tesla Motors, Musk has proven that with superior, often counterintuitive methods of manufacturing it is possible to blow away his competitors and accomplish feats never even attempted before. His production philosophy for both SpaceX and Tesla Motors is to manufacture as much in-house as possible, contrary to the conventional wisdom of today’s economy of outsourcing the majority of components all over the globe. Musk’s signature factory design in the SpaceX and Tesla plants begins with a glossy epoxy coating applied over concrete on the floors and a fresh coat of white paint slathered over the walls to create a clean cheerful atmosphere. 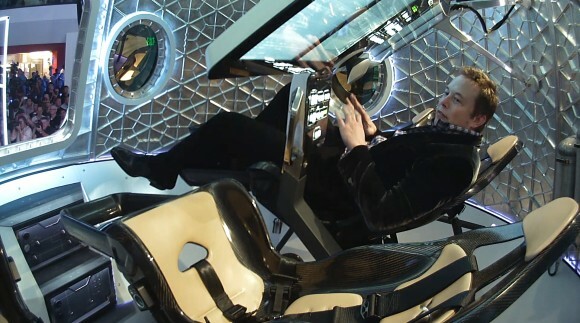 When he moved into the original SpaceX factory he interspersed Ikea desks for engineers and computer scientists throughout the factory so that the people designing the rocket components could sit with the welders and machinists building the hardware. Today the SpaceX factory features a three story glass enclosed office space in the center of the shop. Musk wants all his engineers to watch what is going on with the machining process at all times. He wants them to be forced to walk through the factory and talk to the technicians before they reach their desks. Keeping the majority of the SpaceX engineers at the company’s Hawthorn California campus also contrasts with traditional aerospace companies which prefer to cordon different engineering groups off from each other and typically separate engineers and machinists by thousands of miles by placing their factories in locations with cheap real estate and cheap labor. Musk also has nurtured a reciprocal relationship between SpaceX and Tesla Motors, harnessing the resources and brain power from the two companies to make new breakthroughs and solve problems. This is possible because the two companies are less than 400 miles away–SpaceX near Los Angeles and Tesla Motors in Silicon Valley. SpaceX manufactures between 80-90% of its rockets, engines, electronics and other components IN-HOUSE–a similar characteristic to Tesla Motors’ production. This strategy perplexes rocket building competitors, namely the United Launch Alliance (ULA), a partnership between Lockheed Martin and Boeing, which brags about depending on more than 1,200 suppliers around the world. The recent United States embargo with Russia stemming from the conflict in the Crimea has put the ULA in a tough predicament because its most cost-effective rockets use engines manufactured by Russia’s state-owned aerospace company. Congress has announced that no more rockets can be purchased from the Russian company. SpaceX sees in-house manufacturing as its main weapon in the rocket building industry because it gives its engineers the control to modernize technology and improve processes rather than simply accept the expensive status quo methods, many of which Musk says haven’t evolved for over 50 years. Aerospace companies like Lockheed Martin and Boeing haven’t had real competition and receive generous government money, which further encourages their inefficiency. The standard philosophy of the aerospace industry has always been to produce the highest performance products available, disregarding the bottom line. Musk says that the aerospace companies have always “built a Ferrari for every launch, when it is possible that a Honda Accord might do the trick.” And it’s mind boggling that they throw out each of these Ferraris that cost hundreds of millions of dollars after just one use. Just one of dozens of examples of a cost cutting in-house product from SpaceX is a radio device the company engineered. The SpaceX engineers improved the design of the radio, decreasing its weight by 20%. They also reduced the radio’s price of production from the $50,000 to $100,000 price of the standard industrial grade equipment to $5,000. SpaceX’s goal is to reduce its price of a rocket to one tenth of its competitors’ in the next few years. The key to accomplishing this feat will be to build reusable rockets that have reverse thrusters which enable them to return safely to earth. Many scientists say Musk’s goal is impossible because the stress on a rocket is too great after a launch, leaving it too damaged to use again. Musk likes to work on the impossible. I have my money on Musk. Question: Is space exploration a waste of tax payer money? If it wasn’t for space exploration, we might not have velcro! VELCRO was not invented by NASA or anyone involved with U.S. space program. It was some European guy that studied sand-spurs and other weeds stuck to your clothing. I believe he was Swiss. I guess we invented the ink-pen that could write in zero gravity. Elon Musk would probably appreciate the Soviet solution of using a pencil in outerspace. On to the article’s question…..Is space exploration a waste of tax payer money? Since I live nearby to the Kennedy Space Center, I believe that the ‘manned spaceflight program’ is an incredible waste of money. If you hear the opinions of most scientists, money would be better spent on unmanned spacecraft to do exploration. I believe money is well spent for our weather and communications satellites, etc. Manned spaceflight is incredibly expensive and dangerous. It appeals to the mass public’s imagination so as to continue funding through Congress. I distinctly recall the head of NASA after the Challenger explosion wanting to limit a flight to repair the Hubble telescope because it was too dangerous. I believe his rational at the time was that if anything tragic were to happen to another astronaut after the 7 Challenger deaths, funding for manned spaceflight would be completely eliminated. It was obvious that NASA was looking to keep manned spaceflight missions in the public’s eyes with promotional stunts such as sending a teacher into space and also an elderly man. Were these people really going to do any important science work? Nope. It was NASA’s ploy to prop up the increasingly mundane image of manned space flight. It is good to see someone challenging and busting the “we have always done this way” mentality that suffocates so many factories and industries. Oh please. Most of Big Business in the US drinks from the taxpayer trough: Defense Contractors, Banks, GM, Chrysler, Big Oil, etc, etc. Musk is certainly no worse than the above, and I contend much better. At least he has a world vision, other than maximizing money from the taxpayer. Space exploration is vital and needed. It is and had never been a waste of time. The scientific advancements made have transformed the world. True American ‘can-do’ spirit. His ability to get things done is incredable. His drive to develop new processes and ideas is needed at this time. If we did everything as we have always done before then we would still be living in caves getting our dinner with sharp sticks. Innovation is needed for man to continue to develop. I read the L.A. Times hatchet job on Musk when it was picked up by the New York Times. Journalists try to make a name for themselves by knocking down successful people. Elon is driven, and probably often a jerk like his friend Steve Jobs but he makes great things happen. The Tesla S is a fabulous car, but to Musk it is the stepping stone to the cheaper better version in 2017, and perhaps his real endgame, the cheaper better battery that liberates us from oil, gas and coal addiction in much of the economy. He is heroic to me because he takes on gigantic risks, that corporate folk will not touch, because they could fail and be fired. Jeff Immelt of GE is his corporate counterpart, buying companies and tring to stitch them together to make money. Even worse is Valeant Pharmaceutical which buys out drug companies, strips the R and D, moves their offices to Ireland to beat taxes and then goes on to the next one. Musk is a builder, and great at it. That is truly worthy of respect. If it wasn’t for 5 Billion dollars in our tax payer $, Musk would have gone the way of the Passenger Pigeon or Fiskar Karma. Let me at some of that $ and I could come up with some incredible too. Until a minority is put in charge of any space exploration agency it will go no where. Whites are only out to take advantage to the system for themselves.